The Bridge Building is a safe haven where families create a welcoming, close-knit community to recover from the shared trauma of homelessness. 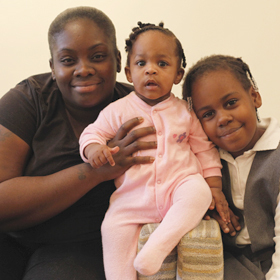 Opened on Christmas Eve 1991, the Bridge Building was created to provide safe and affordable one- and two-bedroom apartments for homeless mothers and their children. 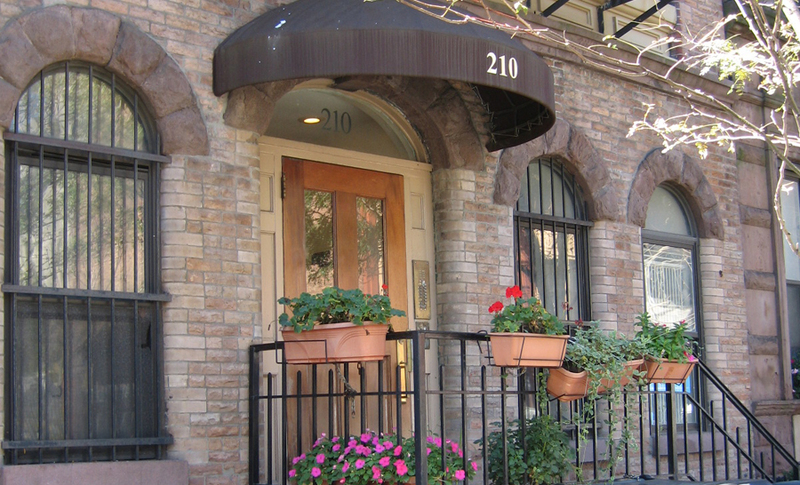 Located in East Harlem, the Bridge Building was one of the first, pioneering model programs financed with federal Low Income Housing Tax Credits as a way to create stable permanent housing for homeless New Yorkers. The Bridge Building contains 14 comfortable apartments that allow formerly homeless mothers to create a safe, nurturing environment for their kids while fostering a strong sense of community. Our on-site case manager works with tenants to further their education, search for jobs and prepare resumes – as well as learn household budgeting skills. She also connects residents to affordable childcare and counseling services, and coordinates building-wide tenant meetings and social events. The stability and success of the program is evidenced by our extremely low turnover rate: our tenants remain in the building for an average of 12 years. The basement of the Bridge Building also holds the kitchen where the meals are prepared daily for the Grand Central Food Program.